What if you had complete control over the growth of your online course, coaching or consulting business? online courses, programs, or services if you want to make a regular, consistent, and reliable income online. With just a home computer, and a Facebook Ad account, you have the same tools available to you as the digital marketing agencies that run Facebook ad campaigns for multinational brands. These are the tools that give you the power to reach millions of people and impact them in a positive way with your unique offerings. You just need to learn how to harness them. You only have to open your newsfeed to see that the popularity of Facebook ads is growing rapidly. With over 2.01 billion monthly active users on the platform (a whopping 17% increase in users between August 2016 and August 2017) the chances that your ideal clients aren’t spending time on the platform to see your ads is pretty much slim to none. Whether you’re just starting out online or want to take your existing blog or business to the next level, chances are you’ve heard a lot about the results people, just like you, have gotten with Facebook ads. What does it look like when you master Facebook ads in your business? 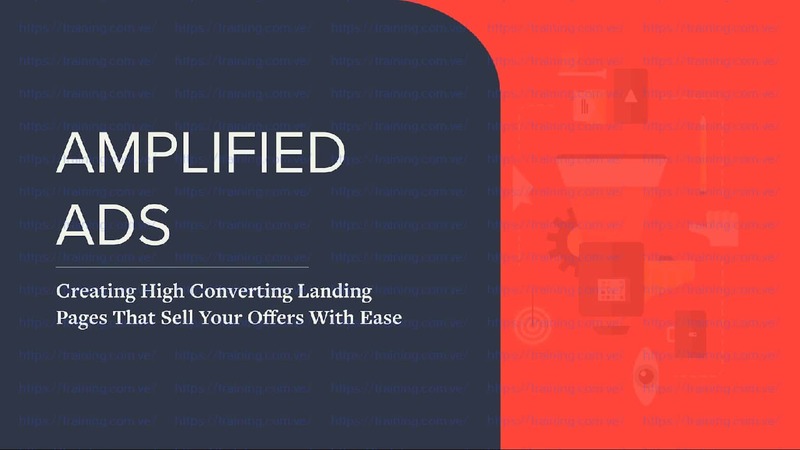 Amplified Ads is an 8-module video training course for ambitious, freedom-seeking entrepreneurs like you, who are ready to automate their email list growth and sell their online courses, information products and services with Facebook ads. Amplified Ads is packed with practical, easy-to-follow video trainings, worksheets, blueprints and more. It's a complete system that will give you the knowledge and skills you need to create and execute a Facebook ads strategy to drive your business forward in a stress-free way. If you're ready to use Facebook ads to build your audience, grow your email list, and sell more of your online courses, information products or programs, Amplified Ads is for you. Who is Amplified Ads for? Amplified Ads is for anyone who sells courses, info products, coaching, or consulting services online. Will Amplified Ads work for me, even if I’m brand new to business and don't have an email list? The strategies that I share inside this course will help you get started with Facebook ads for building an audience and email list, even if you’re starting from square one. However, I recommend having at least some sales before you invest in Facebook advertising so you know you have a market and that your product is a good fit for that market. READY TO JOIN AMPLIFIED ADS? Copyright © 2017 Hubbard Digital Pty. Ltd.
Building a business and an audience from scratch takes time, lots of it. From blogging, vlogging, and posting three times a day on social media, to guest posting, livestreaming, and pinning your best content, your schedule is already maxed out with all the things you’ve heard you should be doing to drive traffic to your website and get eyeballs on your biz. The only trouble is, right now you’re not exactly seeing a comparable return on your efforts. …but right now your whole business just feels a bit hit and miss. Finding your audience, growing your email list and extending your reach on social media doesn’t have to be excruciatingly slow. You don’t have to leave your income up to chance, or waste time wishing and hoping you’ll catch a lucky break. You can take full control of how many people come to your website each day, how quickly your email list grows and how many sales you get every week. online courses, programs, or services will solve. You believe you have to spend thousands of dollars to see any kind of meaningful results. Not true! In fact, if you’re just getting started you can spend as little as a dollar a day on ads and still add new subscribers to your email list. I’ve run campaigns that have generated highly qualified leads for as little as $0.50 so I know first hand that it absolutely can be done. You believe spending money on ads is incredibly risky. You believe your customers or clients aren’t on Facebook. Again, not true! Unless you want to target audiences in China or North Korea where access to the platform is restricted by their governments, I’m confident you’ll find your peeps among the 2.01 billion monthly active Facebook users. You believe you’re not ready. Whether you’re in the early stages of your business or you’re ramping up your efforts online, Facebook ads can help you achieve rapid results. You believe you have to be a professional graphic designer, copywriter and videographer to create successful ad campaigns. Nope! You just need to know the right free tools to reach for, so you can quickly and easily design scroll stopping graphics and have someone on hand to give you solid advice and help you write great ad copy. Carla Biesinger is a food blogger who creates online courses to help other foodies and food startups to grow their businesses with social media. When I first started coaching Carla, she’d just created her very first course and with an email list of just 400 subscribers, she wanted to use Facebook ads to get people signed up to her webinar. Together, we crafted a strategy which Carla implemented. With a relatively small spend of $400, Carla attracted 135 new webinar attendees and made over $1,000 in course sales, turning a profit from her very first set of ads. By the time Carla came to run her next ad, she knew how to tweak her ad sets, monitor her ads effectively and adjust her budgets over the course of her campaign. As a result, she was able to reduce her ad spend and add even more new subscribers to her email list. Business and publicity strategist, Selena Soo has a suite of high impact programs that she launches periodically throughout the year. The first time we worked together on the launch of her signature program Get Known, Get Clients, we attracted thousands of people who might not have otherwise discovered her email list and generate a 4000% return on her investment in Facebook ads. Nope! That’s not a typo! For every $1 we spent on ads, Selena made $40 in return. Not bad, right? leave their corporate jobs and start six-figure businesses working for themselves. less than $100K. For every $1 we invested, Luisa got $3 back. In module one, you'll learn what makes Facebook ads work. You'll learn why Facebook is unique as an advertising platform and how your potential customers are thinking, so you know exactly how to approach them in order to generate sales (without being all pushy and 'salesy'). We'll dive into the journey a customer takes to go from being a complete stranger seeing you in their news feed, to becoming a loyal customer and fan. You'll also discover how to build the technical foundations for your customer acquisition system. If talk of 'pixels', 'conversion tracking', and 'retargeting' has your head spinning, then this module will put you at ease. Even if you have no prior knowledge of Facebook ads and no technical knowledge, you'll have technical foundations you need to succeed with Facebook ads up and running by the end of this module. Throwing a single ad out there and hoping it's going to get you great results is a recipe for disappointment. The difference between those succeeding with Facebook ads - filling their webinars, challenges and launches with new email subscribers, and generating a positive ROI week in week out, is STRATEGY. There's no escaping it. You need a rock solid, proven strategy if you're going to succeed with Facebook ads. Module two is all about developing an advertising strategy that works for you and your business. That strategy will bring new people into your world, build your email list, nurture your new subscribers, and then turn those subscribers and customers. I’ll introduce you to The SAS Method, the battle tested methodology behind every successful Facebook ads campaign I’ve ever managed. This method will help you get the most 'bang for your buck' out of every dollar you spend on ads. It's all about identifying the ads that will deliver the highest ROI and making sure you get those up and running first. You'll map out which ads to run, when to run them, and which audiences to run them to. In module three you’ll learn how to find and target your ideal customers on Facebook. First, we'll create a crystal clear picture of your ideal customer, then I'll show you how to get in front of them. You'll learn which audiences to target when you're just starting out to get the best results and minimize your risk, and how to decide which audiences to target next. We'll dig into how to leverage the power of 're-targeting' to get big results on a tiny budget, and then I'll show you how the incredibly easy way to reach millions of people who are just like your existing audience by using all of the data Facebook has available. If you've ever struggled to find the right interests or behaviors to target, this module has you covered. You'll learn my 4 step process for finding the perfect interests to target with your Facebook ads. It doesn't matter how good your ads are if you're offering your audience something they don't want. In this module, it’s time to create an irresistible piece of free content that your audience can't wait to give you their email address for. In this module we’re diving into what makes a great lead magnet and how to create your own. You’ll also learn the best practices for creating high converting opt-in pages that will make people want to click, all while staying compliant with Facebook’s policies. In this module you’ll learn how to create all the components of eye catching, scroll stopping, Facebook and Instagram ads. Using images, videos, and compelling copy (text) -- you’ll learn how to do it all and pull it off like a pro. We go into detail on how to create ad images that catch the attention of your future customers, and how to create really simple but highly effective video ads. And if you've ever gone to create an ad but had no idea what to write, the answers are in this module. You'll learn how to write great headlines (and get simple formulas to help), and how to write text for your ads that convinces people to click (I share frameworks for that as well). And because nobody likes wasting their time, we’re also taking a look at Facebook’s advertising policies so you can submit your ads with confidence, knowing Facebook isn't going to shut you down! Tt’s time to dive into Facebook’s Ad Manager and place those ad! But which campaign objective should you choose? How should you structure your campaigns? And there are so many options and check-boxes... How do you know what to choose to get the best results? You’ll find the answers to all these questions along with step-by-step, over-my-shoulder implementation videos waiting for you in module six, along with my favorite pro shortcuts to save you time and money. By the end of this module you'll have everything you need to take what you've learned and get those leads and customers rolling in! Once your campaigns are up and running, you’ll need to know how to optimize them to get the very best bang for your Facebook ads buck, and how continually improve your ROI. In this module you’ll get an insider’s guide to understanding your ad’s performance and how to improve it. By using the 'SSS Method', you'll know exactly what you need to do next every time you jump into the ad manager. You'll learn how to troubleshoot poor performance and make intelligent, data-driven decisions to optimize your ads without decimating your budget. This module is about removing overwhelm and confusion when it comes to looking at your results, and letting Facebook tell you what to do next. No more guesswork. Got a winning ad? Awesome! It’s time to get it in front of even more people. This is where you really increase your influence, impact and results. Using my tried-and-trusted multiplication strategies, I’ll show you how to scale your ad spend without eroding your ROI. If you've ever tried to scale successful Facebook ad campaigns and suddenly seen your results drop off a cliff, the strategies in this module will make sure it doesn't happen again. Scale successful ad campaigns and take your business to the next level, without eroding your ROI. you work through the course. That’s why I’m offering four weeks of live group coaching so we can iron out those kinks together. Can’t join us live? No worries! You can submit your question in advance and listen to the recording later if you can’t make a call. Get access to my private swipe file full of Facebook ad examples for you to use as inspiration. Either way, you can jump in and browse through hundreds of ad examples to get your creative juices flowing again. Who is Amplified Ads NOT for? Without a doubt, there are concepts and strategies in the course could be applied to e-commerce businesses and local brick and mortar businesses. That said, I developed Amplified Ads with online information and coaching/consulting businesses in mind, and for that reason you may find a large portion of the content irrelevent to you. Do I need to be tech savvy to implement the training in Amplified Ads? No! Even if you have no idea what a 'pixel' is, and if tech generally has you running for the hills, you'll learn everything you need to inside Amplified Ads. That’s entirely up to you. If you binge watch the content like your favorite Netflix show and implement as you go, you could theoretically have everything up and running in 14 days or less. If you’re working through the program while juggling other priorities, you might only complete a module a week. You set your own timeline. Facebook changes things up all the time. How often will the content be updated? You have lifetime access to Amplified Ads but that doesn’t mean that the content will stay the same forever. Every time Facebook introduces something new or makes a change that affects the way you place ads, I’ll jump into the private Facebook group to update you on what you need to know, before updating the core content. The same applies to new strategies and tactics. When I find something that's working, as a member of Amplified Ads you will be the first to know about it and it will be added to the course content as soon as possible. You get immediate access to all of the videos, worksheet, calculators, and extra content as soon as you join. How does Amplified Ads differ from other Facebook Ads courses out there? Amplified Ads is designed specifically for online course creators, info product owners, and coaches / consultants. This is not a generic Facebook ads course, it's designed specifically for these business models by someone with years of experience and proven success with ad campaigns just like the ones you want to create. I know the strategies and tactics you'll learn inside Amplified Ads work. That's why I'm including a full 30-day money back guarantee. 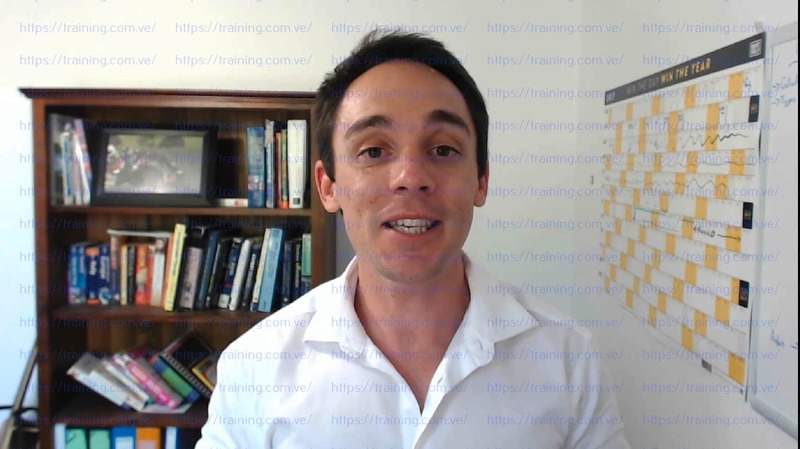 You can go through the entire training - every video, worksheet, blueprint, 100% risk free. If you do the work, complete the assignments, implement what you learn (you have to show proof! ), and still don't see results, I'll happily issue a prompt refund of your full investment. Because as good as the content is inside Amplified Ads, it only works if you implement it. I want you people like you to not only join, but to take action and get results. If you're ready to use Facebook ads, then that won't be a problem. I don't want anyone to join just to see what's inside and never actually use the information in their business. For more on the 30-day guarantee, see this page. For the last 5 years, I've been working behind the scenes, running Facebook ads for some of the most successful online courses and coaching programs in the industry. From million dollar program launches, to evergreen sales funnels that generate 6 figures per month, I've literally spent thousands of hours inside the Facebook ad platform figuring out what works and what doesn't. But more importantly, I've built repeatable, battle tested processes and systems for success with Facebook ads. But it didn't start out that way. I got my start working on a single client account (for free! ), in exchange for a case study. Everything was on the line - this was my chance to prove myself. Thankfully, it paid off. We spent $4k on Facebook ads that generated $36k in sales! That lead to a referral to another influencer in the industry, who's ad campaigns then generated a 4000% ROI! dream clients rapidly growing their businesses with Facebook ads. There’s nothing I love more than to see my clients and students getting results. 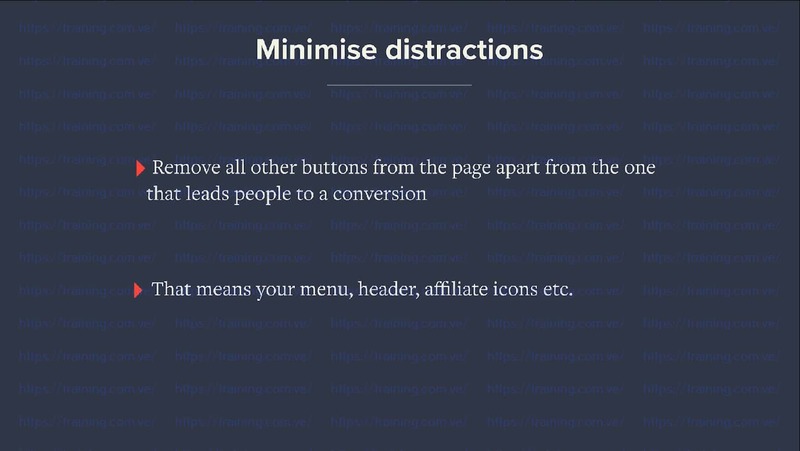 I know through experience that a new image or video, a copy tweak here, or a target change there can make a world of difference to your bottom line. That’s why when you join Amplified Ads, you’ll also get 12 months access to me via a private Facebook group where I’ll be providing support and answering your questions. This is where I share my latest discoveries and tactics FIRST, so you're always up to date on what's working now. It's also an opportunity to engage with others on the same path, and get support and feedback from a group of smart, passionate entrepreneurs just like yourself. When are the group coaching calls held?